With a health savings account (HSA), you can set aside pretax income to pay for current or future health care, including deductibles, copayments, and any qualified medical expenses, including dental bills and prescription drugs. Any withdrawals you make from the HSA to cover these costs are tax free. 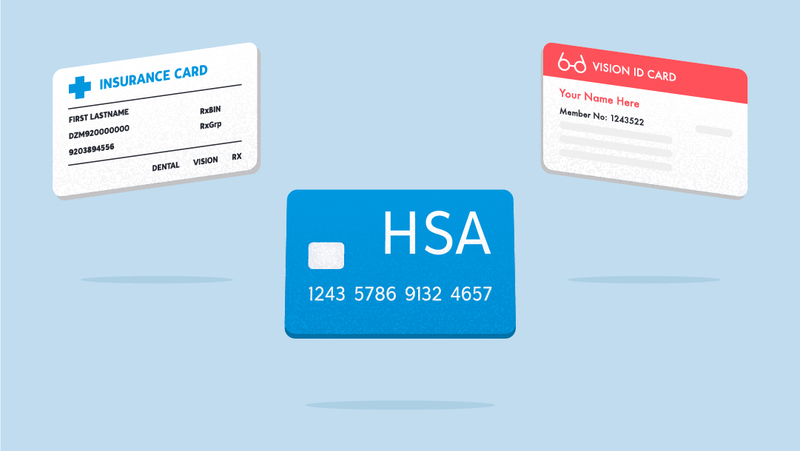 While an HSA resembles a flexible spending account (FSA), which your employer may offer as part of your benefits package, there are some major differences as well. For example, the money in your HSA can be rolled over from year to year, which isn't the case with an FSA. If you change jobs, you can take an HSA, but not an FSA, with you. And if you don't have access to an HSA through your job, you can open one with a bank or other financial services company on your own and deduct your contribution when you file your tax return for the year in which you contributed. That's not possible with an FSA. If you change jobs, you can take an HSA, but not an FSA, with you. So why doesn't everybody have an HSA? A primary reason is that to be eligible you must be enrolled in a high deductible health plan (HDHP). Federal law defines an HDHP as one having a minimum upfront deductible — $1,350 for individual coverage and $2,700 for family coverage in 2018 — that participants must pay out-of-pocket before the insurer begins to cover any health care costs. Your employer may offer such a plan, though the deductible may be higher than the federal floor. Or, if you aren't offered health insurance where you work, you may choose an HDHP on your own rather than traditional health insurance, which is likely to have lower or no deductibles but typically higher premiums. The same federal law puts a cap on your annual out-of-pocket medical expenses for 2018 at $6,650 for individual coverage and $13,300 for family coverage. Those are the expenses the savings in an HSA are designed to cover. Because of the HDHP-HSA link, the first thing you must decide is whether an HDHP is right for you. You'll also want to consider whether you'll contribute to a linked HSA up to the annual cap. In 2018, that's $3,450 if you have individual coverage and $6,900 if you have family coverage. If the HDHP is an employer plan, your employer may contribute part of that amount as an incentive to encourage you to choose the HDHP. That's because the typically lower HDHP premiums reduce employers' cost of providing health insurance. The first thing you must decide is whether an HDHP is right for you. In addition to the lower premiums and tax advantages, HDHP-HSAs give you the flexibility to comparison shop among health care providers and more control over the prices you pay for health care — at least in theory. But that's not always the case. In fact, if you're part of an employer plan, you may have to use the insurance company's network of doctors if you want your out-of-pocket expenditures to count toward meeting your deductible. And if you purchase an HDHP on your own, you may find it's not easy to compare costs, as doctors tend not to provide a schedule of prices. You may also have difficulty negotiating a lower price for services as an individual than a group plan might be able to achieve. If you have an employer-provided HDHP, your employer probably has selected a financial services company to act as custodian for participants' HSAs. However, you can use a different custodian if you wish. The advantage of using the designated custodian is that your employer will pay the administrative costs. It's also typically easy to arrange the direct deposit of your pretax money, which may not be the case if you use an outside custodian. The default account may be a money market or savings account that you can readily tap to pay your qualifying medical bills, either by submitting them for reimbursement or by using a designated debit card. However, the interest rate you'll earn on the account will probably be modest. Some employers offer a number of different HSA alternatives. Some of these accounts may offer substantially higher returns but will expose your account to greater volatility and potential losses, at least in the short term. That could be a problem if you're planning on using the money for current out-of-pocket expenses. Some accounts different from HSAs may offer substantially higher returns but will expose your account to greater volatility and potential losses, at least in the short term. If you can afford to fully fund your HSA and pay your out-of-pocket health expenses from your ordinary income rather than withdrawing from the HSA account, you can take advantage of an additional way to accumulate tax-free savings. That may be especially attractive if your modified adjusted gross income is too high to allow you to contribute to a Roth IRA. When you turn 55, you can contribute an additional $1,000 in catch-up contributions annually for the next ten years, further boosting your account value. But you can no longer make contributions after you turn 65. You should also keep in mind that if you use the money for anything other than health care expenses before you turn 65, you'll owe tax on the amount you take out of the account, plus a 10% tax penalty. But if you don't touch the money until retirement, you can draw on it to cover your health needs at a time when many people spend more on health care than they customarily have in the past. On the other hand, if you're trying to manage your current health care costs, HSAs can be a useful tool for accumulating tax-free money to pay your out-of-pocket expenses. You'll owe less tax because what you contribute to an HSA isn't taxed, your earnings aren't taxed, and neither are your qualified withdrawals. So you're saving on taxes in three ways. While there are many potential advantages to HSAs for meeting both immediate and long-term health care costs, you do have to determine whether you are willing to enroll in a HDHP to have access to this opportunity to save and whether you'll actually contribute enough to cover your costs.